Titan's 51 Gallon Mid-Ship Fuel tank for your 1999 - 2007 Ford Powerstroke 7.3/6.0L, with the Crew Cab/Short Bed configuration. Titan's 60 Gallon Mid-Ship Fuel tank for your 1999 - 2007 Ford Powerstroke 7.3/6.0L, with the Extended Cab / Long Box configuration. Titan's 67 Gallon Mid-Ship Fuel tank for your 1999-2007 Ford Powerstroke 7.3/6.0L, with the Crew Cab / Long Box configuration. Titan's 51 gallon mid-ship fuel tank for your 2008-2010 Ford Powerstroke 6.4L with the Crew Cab / Short Bed configuration. Titan's 60 gallon mid-ship fuel tank for your 2008 - 2010 Ford Powerstroke 6.4L - F250/F350/F450, with the Crew Cab & Extended Cab / Long Bed configuration. 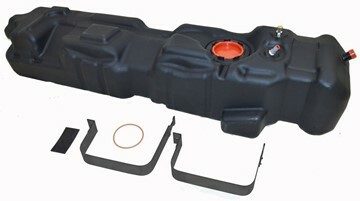 Titan's 67 gallon mid-ship fuel tank for your 2008-2010 Ford Powerstroke 6.4L with the Crew Cab / Long Bed configuration. Titan's 50 Gallon Super Series fuel tank which replaces your OEM fuel tank on your 2011-2016 Ford Powerstroke 6.7L truck with the Crew Cab/Short Box configuration. Titan's 65 Gallon Super Series fuel tank which replaces your OEM fuel tank on your 2011-2016 Ford Powerstroke 6.7L truck with the Crew Cab/Long Box configuration. 2017-2019 Ford Powerstroke 6.7L Crew Cab / Short Bed - Constructed of military grade, cross-linked polymer, this direct-fit, drop-in tank is at least ¼” thick and built to outlast all competitors. It’s tougher than steel and more durable than aluminum. 2017-2019 Ford Powerstroke 6.7L Crew Cab / Long Bed - Constructed of military grade, cross-linked polymer, this direct-fit, drop-in tank is at least ¼” thick and built to outlast all competitors. It’s tougher than steel and more durable than aluminum. 2018-2019 Ford F-150 Crew Cab w/ 6.5" Bed - Constructed of military grade, cross-linked polymer, this direct-fit, drop-in tank is at least ¼” thick and built to outlast all competitors. It’s tougher than steel and more durable than aluminum. 2006-2012 Dodge Cummins 5.9/6.7L Mega Cab w/Short Box - 52 Gallon, extra heavy duty, cross-linked polyethylene fuel tank. Comes complete with powder-coated or plated steel mounting strap support set, extruded rubber mounting bushings, rollover safety vent valve, shims and needed accessories. 2010-2012 Dodge Cummins 6.7L CC/SB - 56 Gallon, extra heavy duty, cross-linked polyethylene fuel tank. Comes complete with powder-coated or plated steel mounting strap support set, extruded rubber mounting bushings, rollover safety vent valve, shims and needed accessories. 2003-2012 Dodge Cummins 5.9/6.7L CC/LB - 60 Gallon, extra heavy duty, cross-linked polyethylene fuel tank. Tank comes complete with powder-coated or plated steel mounting strap support set, extruded rubber mounting bushings, rollover safety vent valve, shims and needed accessories. 2013-2019 Dodge Cummins 6.7L Mega Cab w/ Short Box - 50 Gallon extra heavy duty military grade, cross-linked polyethylene fuel tank. For vehicles with DEF systems. Tank features 1/4” wall thickness, and comes complete with galvanized steel mounting straps, mounting bushings, rollover safety vent valves, and needed accessories. 2013-2019 Dodge Cummins 6.7L CC/LB and QC/LB - 55 Gallon extra heavy duty military grade, cross-linked polyethylene fuel tank. For vehicles with DEF systems. Tank features 1/4” wall thickness, and comes complete with galvanized steel mounting straps, mounting bushings, rollover safety vent valves, and needed accessories. 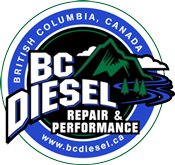 2014-2019 Dodge EcoDiesel 1500 - 39 Gallon*, extra heavy duty cross-linked polyethylene fuel tank. Comes complete with powder-coated or plated steel mounting strap set, extruded rubber mounting bushings, vent hose, rollover safety vent valve, seals and required clamps. Titan's Super Series 39 Gallon fuel tank for your 2001-2010 GMC/Chevy Duramax 6.6L truck with the LB7, LLY, LBZ or LMM engine using the Extended Cab/Short Box configuration. LB7 engines require an accessory kit to properly adapt to this tank. Titan's Super Series 52 Gallon fuel tank for your 2001-2010 GMC/Chevy Duramax 6.6L truck with the LB7, LLY, LBZ or LMM engine, using the Crew Cab/Short Box configuration. LB7 engines require an accessory kit to properly adapt to this tank. Titan's Super Series 62 Gallon fuel tank for your 2001-2010 GMC/Chevy Duramax 6.6L truck with the LB7, LLY, LBZ or LMM engine, with a Crew Cab and Long Box configuration. LB7 engines require an accessory kit to properly adapt to this tank.